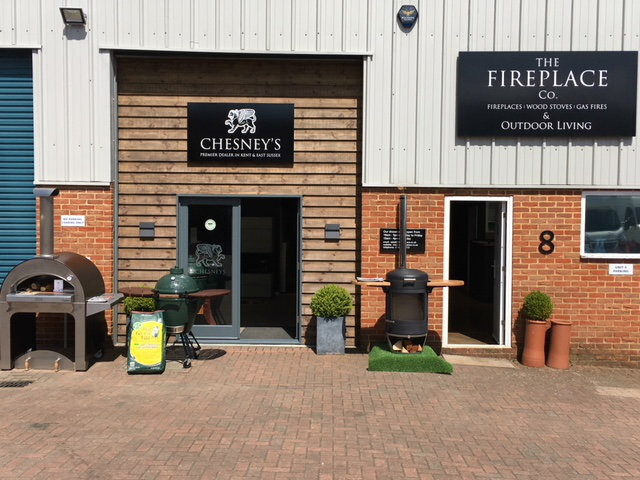 We’re delighted to announce that two of the four barbecue heaters in Chesneys new HEAT Collection, are now available for you to look at, at our recently refurbished showroom. So if you were looking for an excuse to come and see what we’ve done, now might be the perfect time! The 500 (the larger of the two cylindrical designs, pictured outside) has been shortlisted for the Garden Product of The Year Award at the RHS Chelsea Flower Show. We also have the 600 here too, the smaller of the two rectangular designs (pictured inside the showroom). The 400 and 700 will be at the showroom too as soon as they become available, most likely next month. We’ve been very excited about this collection since we announced on our blog they were in production, and the reaction to them on our stand at Spring Live! 2018 at the South of England Showground in Ardingly last week, was overwhelmingly favourable. If you like the look of the collection from the photos and information on our website, you’re going to be bowled over when you see them in person, so please do make an appointment, or drop in when you can. 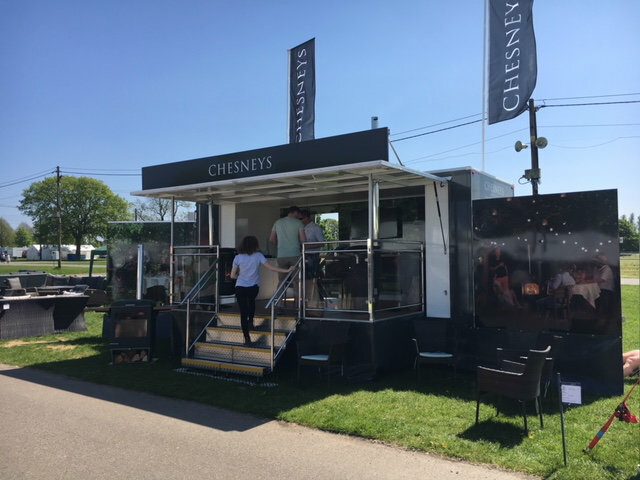 We also wanted to let you know that if you have purchased a Chesneys wood burning stove in the past, you may have received an email from them earlier this month advising you that if you purchase a HEAT, you could claim 10% off the price. And finally if you registered for more information about the HEAT Collection via the Chesneys website, you could be in with a chance of meeting James Martin. 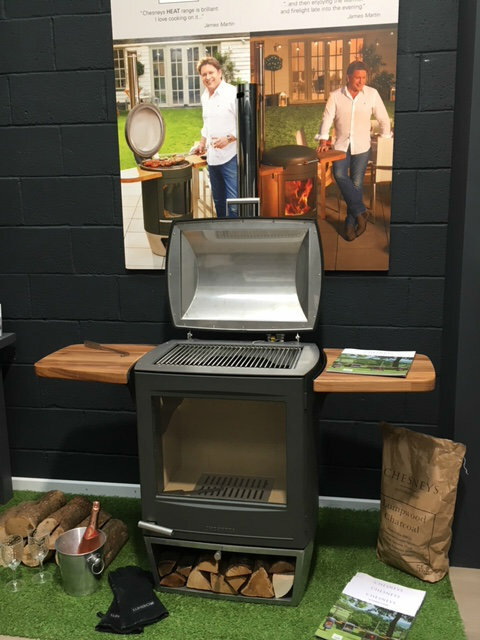 He’s hosting an all day masterclass at Chesneys showroom garden in Battersea on 27 June to which 10 lucky winners (who purchase one of the first 100 models), will be invited. So please check your emails and get in touch with us if you’d like to take a look before you buy.